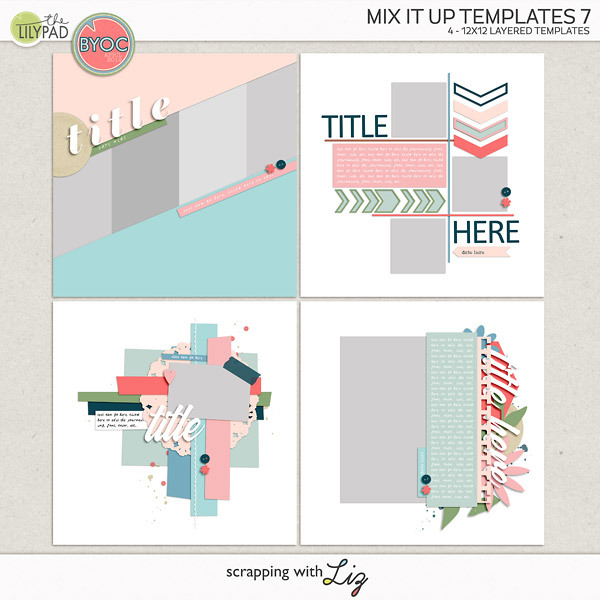 Scrapping with Liz: Daily Life Week 26: Around the House and Birthday Celebrations! 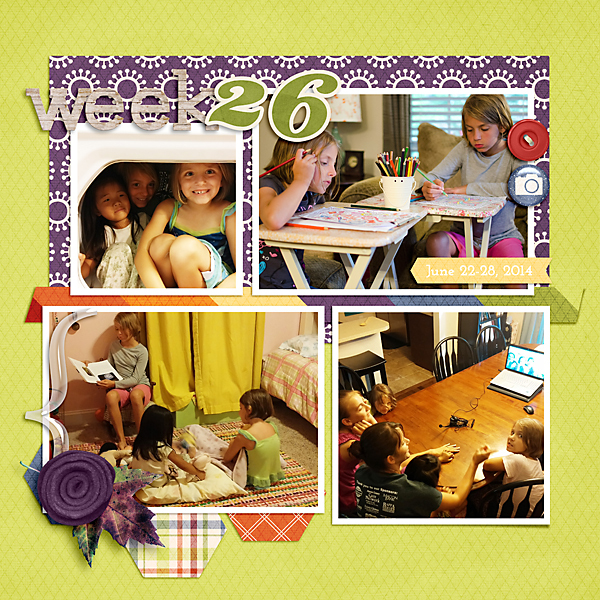 Daily Life Week 26: Around the House and Birthday Celebrations! I don't think I could say this week was normal, but there were a lot of normal things that went on...coloring, hide and seek, reading, etc... We also celebrated a little girl's 7th birthday. Say it ain't so! I remember the day she was born like it was yesterday. We've also been spending a lot of time preparing for our trip to China to bring Matthew home. I didn't take any pictures of that (oops). Maybe I'm afraid to show you the room where I've thrown everything that needs to be packed. Can you tell I used a lot of phone pictures in this first page? I love the ease of using my phone, but I love the quality of my dslr. But when it comes down to it, I just want to document our everyday...if it's a phone picture or a nicer dslr shot it doesn't really matter. So, that's my tip for you this week. Use what you have to document your life. 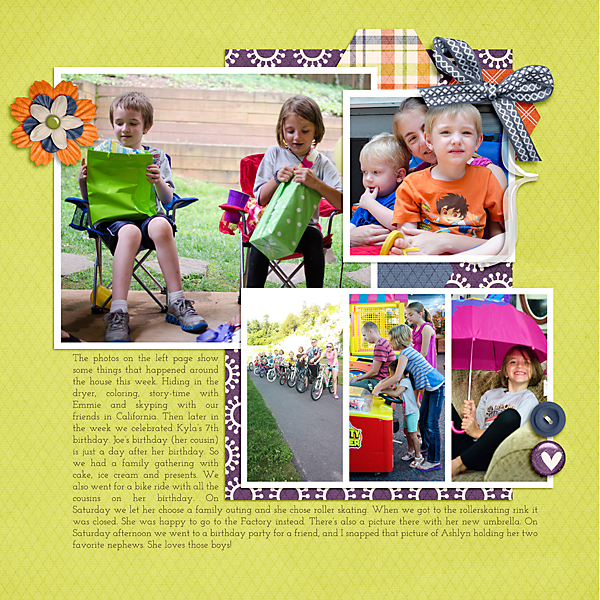 You can read more about our week below in the journaling. 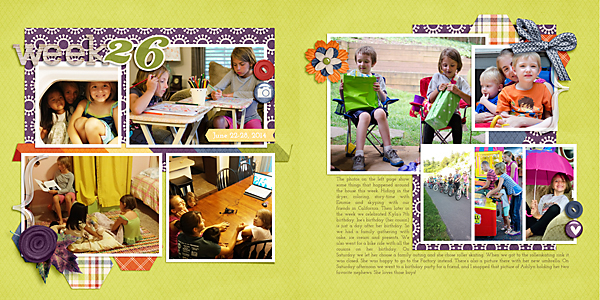 Journaling: The photos on the left page show some things that happened around the house this week. Hiding in the dryer, coloring, story-time with Emmie and skyping with our friends in California. Then later in the week we celebrated Kyla’s 7th birthday. Joe’s birthday (her cousin) is just a day after her birthday. So we had a family gathering with cake, ice cream and presents. We also went for a bike ride with all the cousins on her birthday. On Saturday we let her choose a family outing and she chose roller skating. When we got to the rollerskating rink it was closed. She was happy to go to the Factory instead. There’s also a picture there with her new umbrella. On Saturday afternoon we went to a birthday party for a friend, and I snapped that picture of Ashlyn holding her two favorite nephews. She loves those boys! 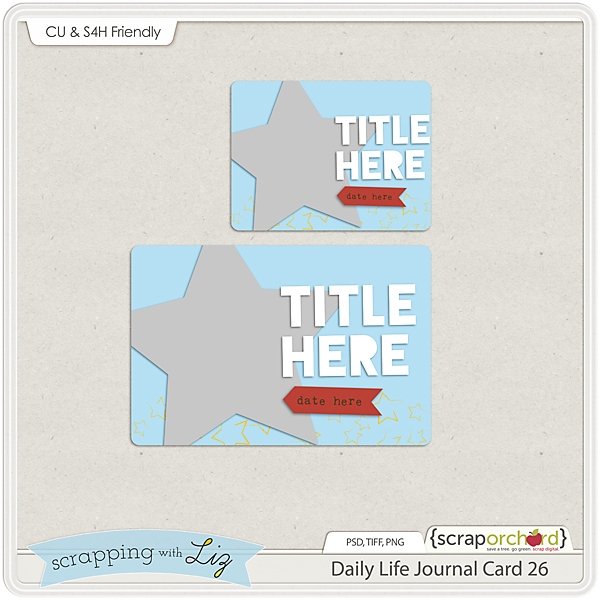 Here's your journal card freebie for this week. I'm hoping you can use it for some July 4th pictures. You might notice that I'm posting a little early this week. I'm heading out on Wednesday (more about that tomorrow), and since I got my page done last night I thought I would post it now. I hope to share my Daily Life pages and journal card freebies with you each week while in China, and I hope to post some updates for you all. Eeeek!!! Liz, I don't comment as often as I should, but I LOVE these cards you so generously share. They make my PL pages a snap! Thank you so, so much! Thank you again for the wonderful templates you offer on this site. 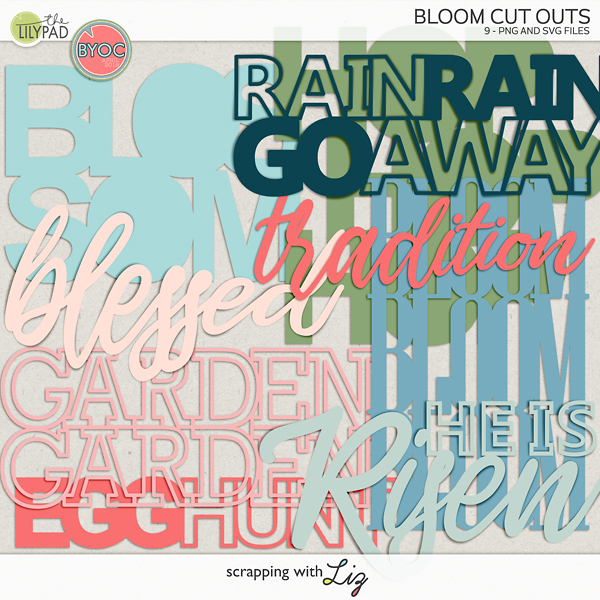 I have also enjoyed the items I have purchased at the Scrap Orchard. The quality of your products are great. I'm in trouble because I'm normal and slightly arrogant. A lot of people don't like themselves and I happen to be totally in love with myself. See the link below for more info.